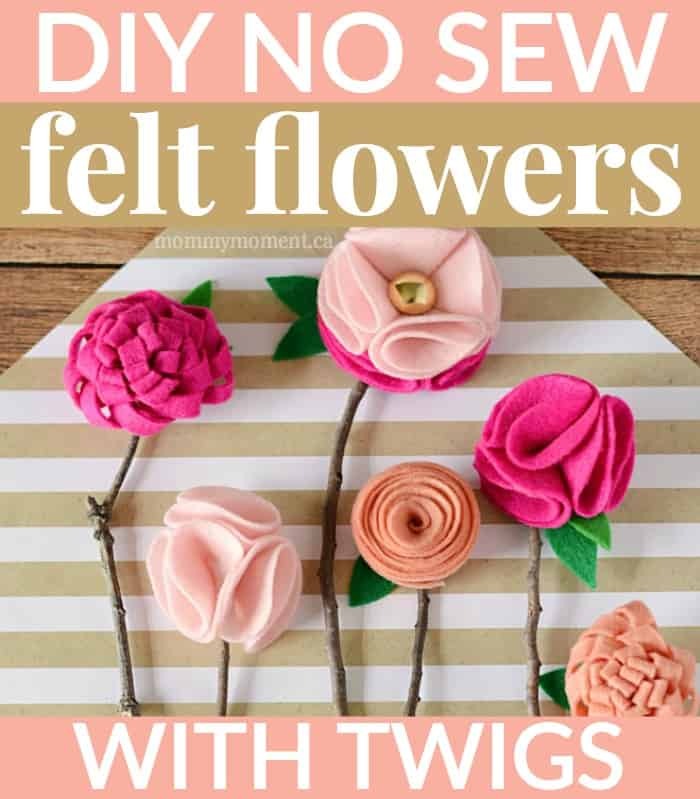 These DIY no sew felt flowers are the perfect homemade Mother’s Day gift – and the best part is, is that they’ll never wilt or die! 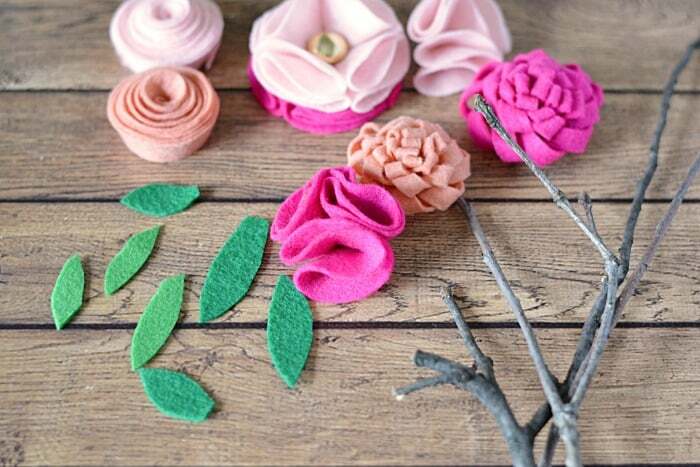 To make a flower with button: Cut 8 round 3″ circles out of felt – 4 of one color and 4 of another color. Fold the circle in half and in half again to create a quarter circle. 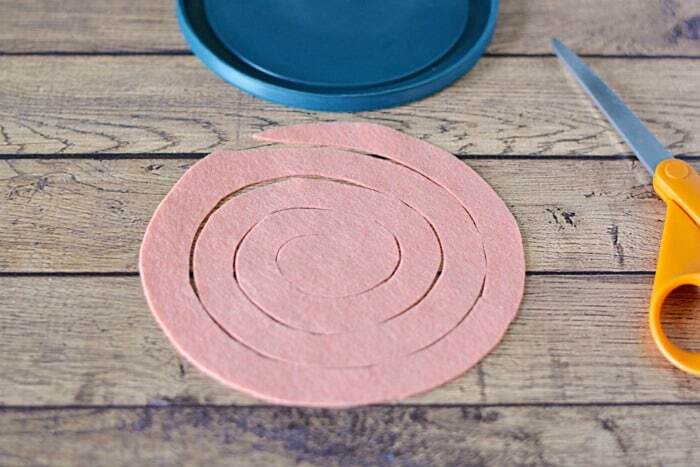 Apply hot glue to the folded edges of one circle and attach it to the folded edge of another circle. Repeat until all four quarter circles are connected to create one circle. 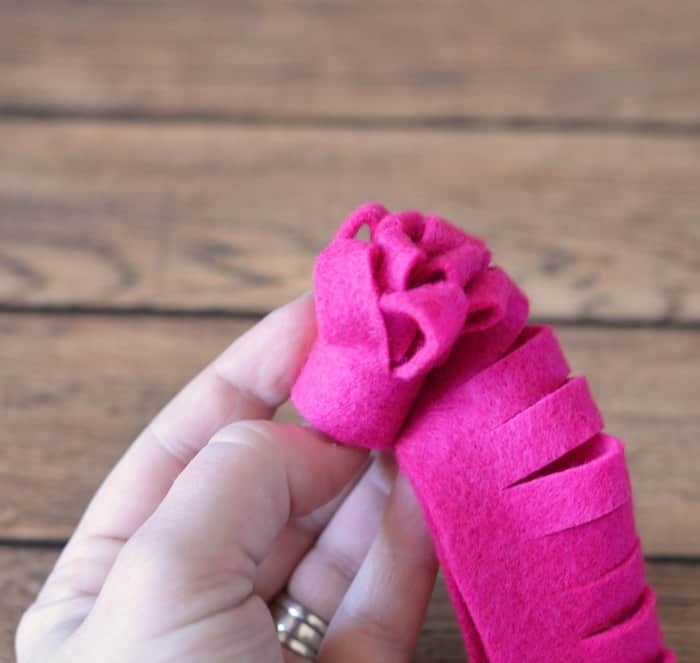 Do the same with the second color of felt, and glue the two flowers together. 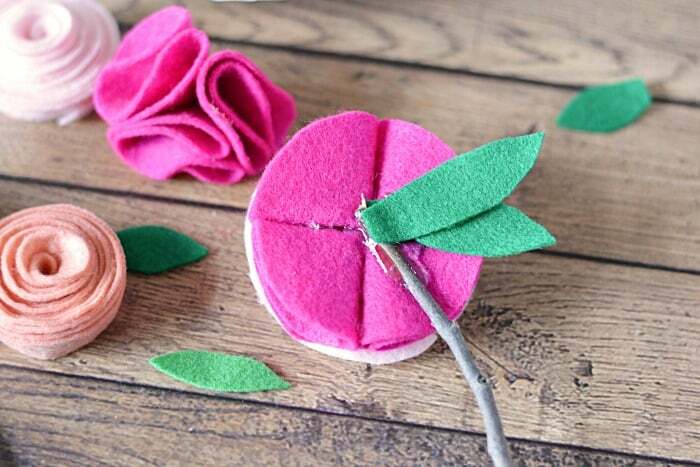 To make a rose, cut a 6″ diameter circle out of felt. Spiral cut the felt about 3/8″ wide. Roll up the felt from the center outward. Affix with hot glue at the end. 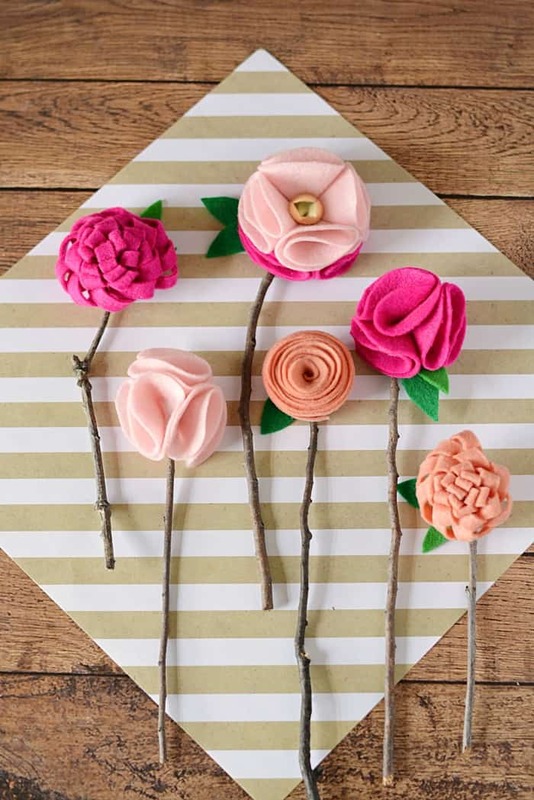 To make the “mum” flowers, Cut a piece of felt 12″ x 2.5″ and fold in half. Secure the seam if necessary with little dabs of hot glue. Cut slits at the fold about 1/2″ apart. Being careful not to cut through the entire flower. Roll from one end, and hot glue together as you go. 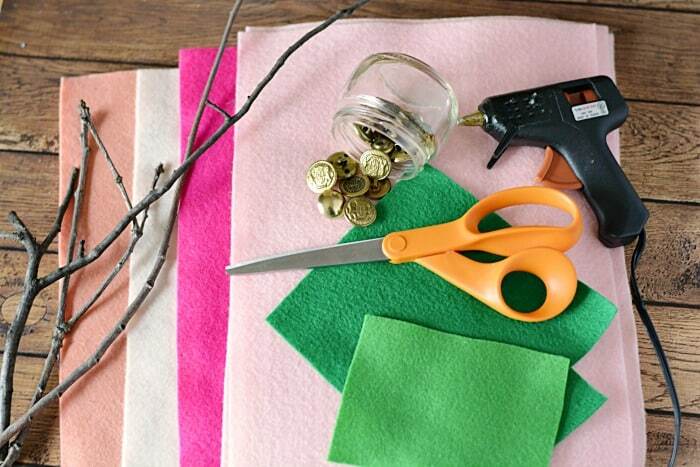 To make small buds: Cut 3-3″ circles and fold into quarters. 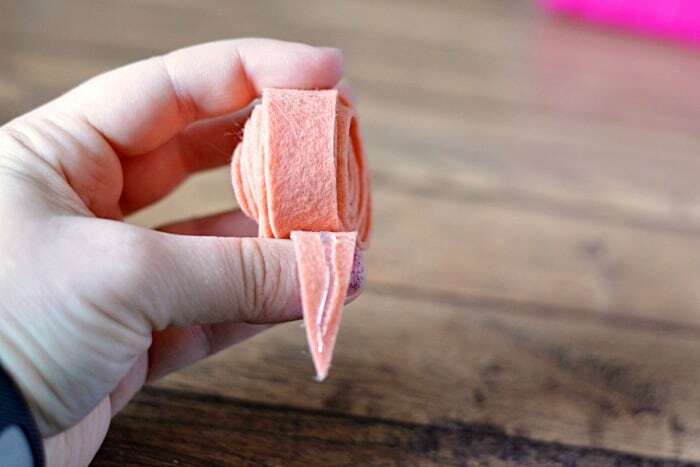 Glue the three quarters together into a triangle like shape. Fold 9×2 or 12×2.5 rectangle in half lengthwise. Like a hot dog bun. Cut slits into the fold. About 3/8″ apart but not going all the way through the fold. Kind of like making fringe. But it’s on the fold. When finished making flowers, cut out leaf shapes. Affix to flowers with hot glue. Add stick stems. 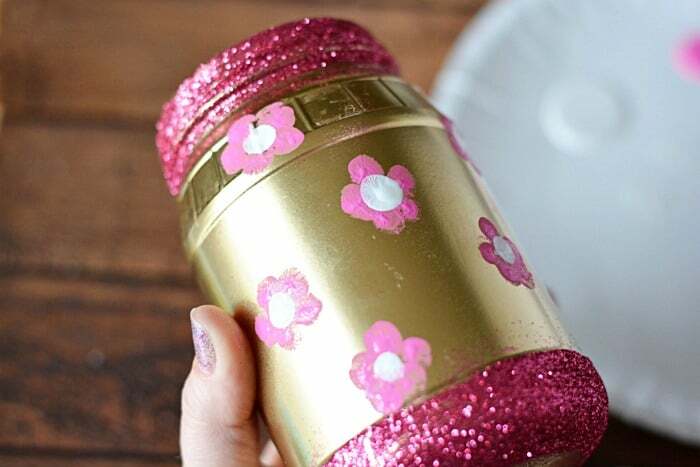 Now you can make an adorable Gold and Glitter Vase with Fingerprint Flowers to put your felt flowers into. Kim, I missed that one. I have added a photo and directions, I hope it helps. Thank You Jody. I thought that was how but was not sure. Thank You for taking the time for me. You’re welcome Kim. I am glad you left a comment so I could fix it. Have a wonderful day! What a cute idea! I just so happen to have some left over felt. Gee, you could make them into little brooches. These are super cute! 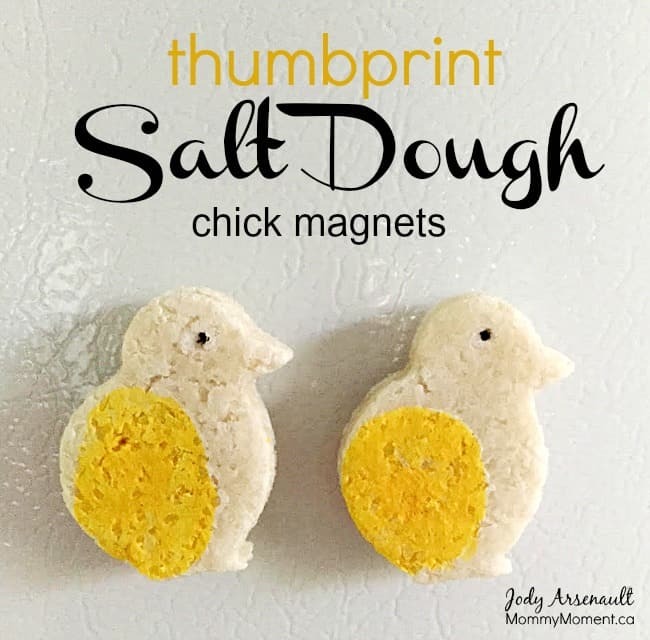 Going to make these with my nieces for my Sister in law. She’ll love them! Thank for the directions! These are so pretty! I can’t wait to make some. I am in fact happy to read this website posts which includes lots of helpful data, thanks for providing such data.